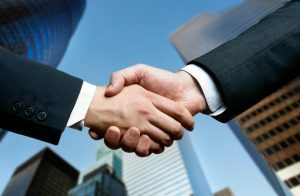 INTRODUCTION: Thank you for your interest in becoming a marketing partner of 950 Credit, LLC (CreditRentBoost.com). We understand the power of Referral Marketing and how it contributes to our success. We continually strive to find the best marketing partners to affiliate with, and as such they become a very important part of our business family. We want to extend to you as much respect, fairness and cooperation as possible, while at the same time protect the integrity of our brand and company. The end goal of our marketing partnership is of course to create a Win-Win value proposition for both of our companies! help their tenants and add value to their communities. OUR (POTENTIAL) CUSTOMER: Anyone who rents and wishes to have a positive impact on their credit score by having their rent reported is a potential customer of CreditRentBoost.com. Additionally, since virtually all tenants are associated with a Landlord and/or Property Management Company; then they also occupy an important position in our marketing strategy. OUR AFFILIATES: If you or your company has a connection to anyone as defined above in “Our Customer” by way of networking, existing customer base, marketing efforts, synergistic product and/or services, etc. – then you may be an ideal Affiliate of 950 Credit, LLC (CreditRentBoost.com). Why Would You Be A Good Affiliate For Us?